Below you can view all the homes for sale in the West Smyrna Heights subdivision located in Smyrna Georgia. Listings in West Smyrna Heights are updated daily from data we receive from the Atlanta multiple listing service. To learn more about any of these homes or to receive custom notifications when a new property is listed for sale in West Smyrna Heights, give us a call at 404-998-4102. 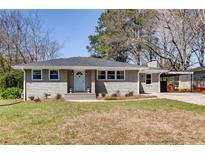 Close To I285, I75, Braves Stadium, Silver Comet Trail. 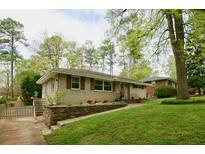 MLS#6538196. Coldwell Banker Residential Brokerage. Well Maintained & Renovated With Great Hardwoods Throughout, New Interior Paint, Completely Renovated Guest Bath, Kitchen Has Stainless Steel Appliances And Solid Surface Counters, Beautifully Landscaped Front Yard & Fully Fenced Backyard With Deck And Ample Space For Parking; Great Location With Easy Access To Downtown, Shopping, Restaurants, And The New Braves Stadium; Make Sure To Check Out The 6 Ft. Crawlspace/Basement With Concrete Flooring; Great For Additional Storage! MLS#6536125. Atlanta Communities. Convenient To Airport, Silver Comet, Market Village, Suntrust Park & Tolleson Park. MLS#6534653. Berkshire Hathaway Homeservices Georgia Properties. Located In The Highly Sought After King Springs District & Convenient To Smyrna Market Village, Suntrust Park, And I-285! MLS#6522960. Keller Williams Realty Cityside. Enjoy The Amazing Patio & Expansive Private Backyard - Perfect For Kids Or Pets! Simply Wow! ! MLS#6518006. Keller Williams Realty Atl Perimeter. Large Rear Deck Overlooks The Large Fenced Backyard Is Perfect For Entertaining. Updated Hvac. Extra Insulation. MLS#6508059. Atlanta Communities. The Home Has A Large Fenced In Backyard. MLS#6502696. Xrealty.Net, Llc..
Smyrna Is Also The Starting Point Of The Popular Silver Comet Trail'S 61.5 Mile Path That Winds Its Way Thru Georgia To The Alabama Border. MLS#6502210. Solid Source Realty Ga, Llc..